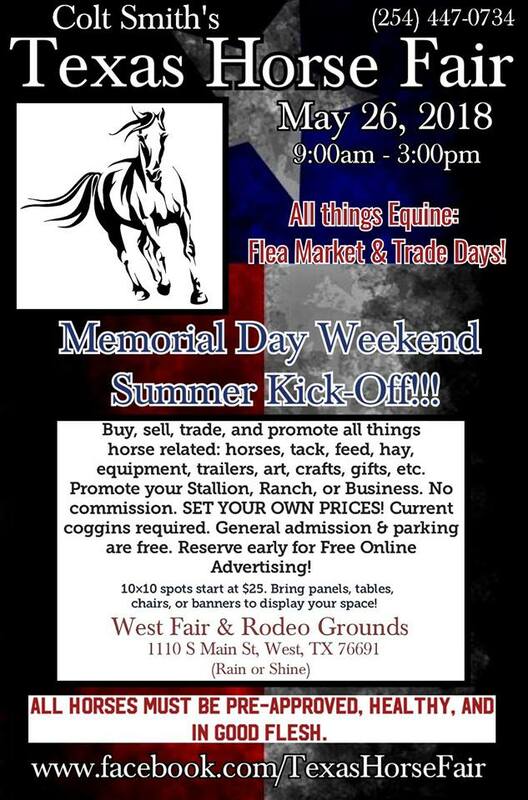 For all our horse owners, save this date and join us at the Texas Horse Fair May 26, 9am – 3pm in West, TX at the West Texas Fair & Rodeo grounds! Don’t miss stopping by our booth and seeing everything we have inside our store. This entry was posted on Wednesday, April 25th, 2018 at 8:09 pm	and is filed under Events, Horse, News & Updates. You can follow any responses to this entry through the RSS 2.0 feed. Both comments and pings are currently closed.